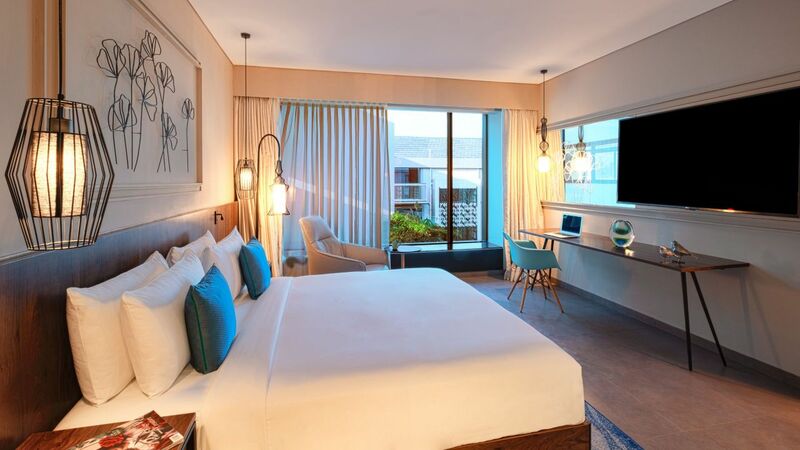 Head out and soak in the essence of Goa and return to contemporary and spacious rooms equipped with luxurious bath amenities, a mini fridge, complimentary Wi-Fi, an HD TV and a Sofa Bed to relax and recharge. 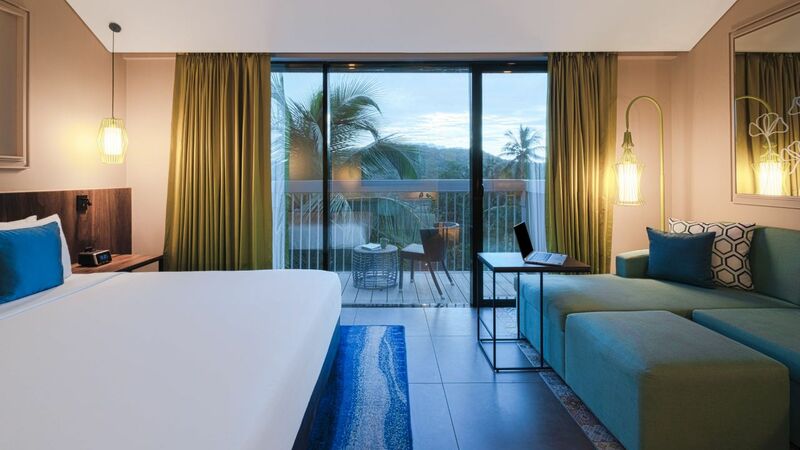 Stay in upscale guestrooms in the heart of North Goa that provides everything you need. 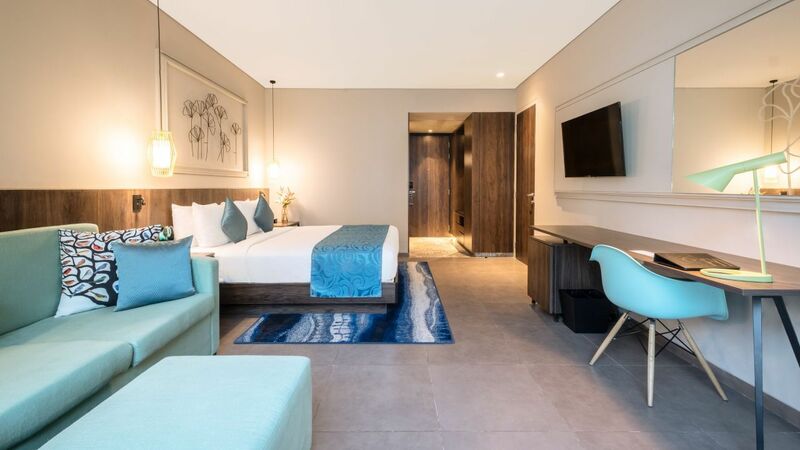 Unwind in this contemporary 61-square-meter suite featuring scenic views of the pool, one king bedroom, a separate living and dining area; and a spacious bathroom. Enjoy the settings of a cozy room with one king bed and one Sofabed, a mini fridge, floor to ceiling windows with garden views amid 26.25 meters of space. Enjoy pool views from floor to ceiling windows in this 26.25 square meter room with a King bed, a Sofabed and a mini fridge. This spacious 30.5-square-meter room boasts full pool views, one king bed, Cozy Corner with sofa-sleeper, mini fridge, a work desk, and a marble bathtub. A 26.28 square meter room with twin beds, one Sofabed, a mini fridge and floor to ceiling windows with garden views. Enjoy pool views from floor to ceiling windows in this 26.25 square meter room, along with twin beds, a Sofabed and a mini fridge. Enjoy pool or hillside views from our rooms with a balcony; with one King bed, a Sofabed, and a mini fridge amid 31 square meters of space. 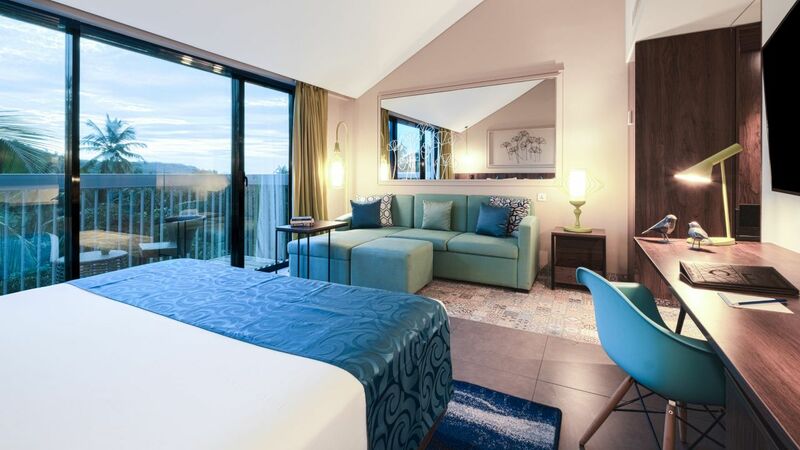 Feel at home and enjoy pool or hill side views from our rooms with a balcony; with Twin beds, a Sofabed, and a mini fridge amid 31 square meters of space.